13 hours on a plane with Joe Biden is not exactly a dream getaway. 85 year-old Merrill Newman, a war veteran, declined a ride home on Air Force Two with Joe Biden. An 85-year-old U.S. tourist detained in North Korea for six weeks for alleged ‘war crimes’ has landed back in San Francisco after catching a flight from Beijing. 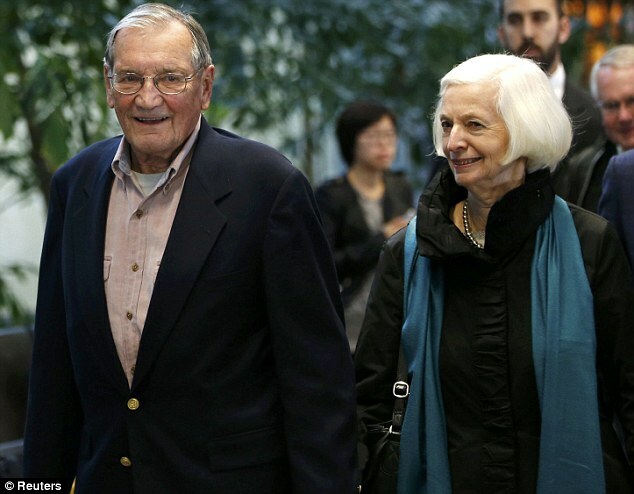 North Korean state media said Saturday that Merrill Newman, a war veteran, was released because he had apologized for his alleged crimes during the Korean War and because of his age and medical condition. Speaking after arriving at San Francisco International Airport, Mr Newman said he was glad to be back home and thanked U.S. and Swedish diplomats who worked to secure his release. U.S. Vice President Joe Biden, who is traveling in Seoul, welcomed the release and said he talked by phone with Newman in Beijing, offering him a ride home on Air Force Two. Biden said Newman declined because of a direct flight to his home state of California, which he took later Saturday.